The magic of fall is in the air, the time of year when shorter days and cooler nights spark the human imagination and stimulate feelings of nostalgia and comfort. Here in Lake Lure and the Blue Ridge Foothills, you can discover the brilliance of this season through several distinctive experiences. 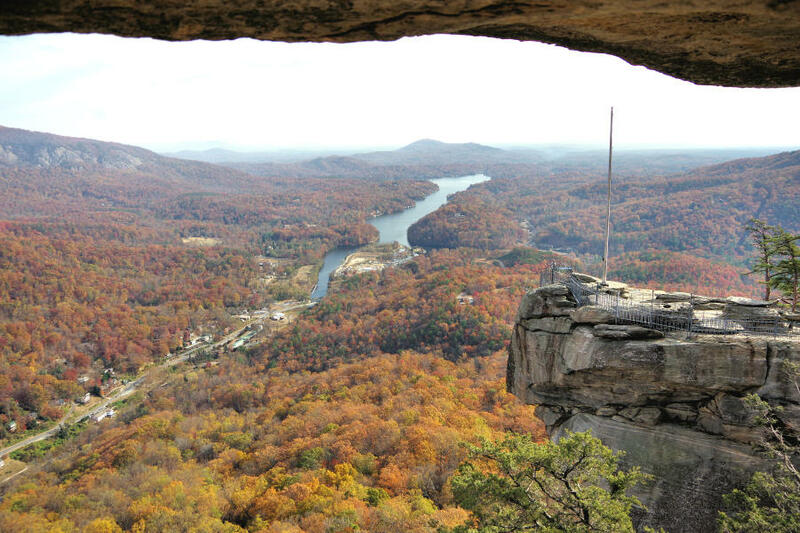 Experience everything from relaxing boat tours and scenic drives to small town festivals, and awe-inspiring 75-mile views found only atop Chimney Rock at Chimney Rock State Park, a ‘must include’ leaf-peeping destination. 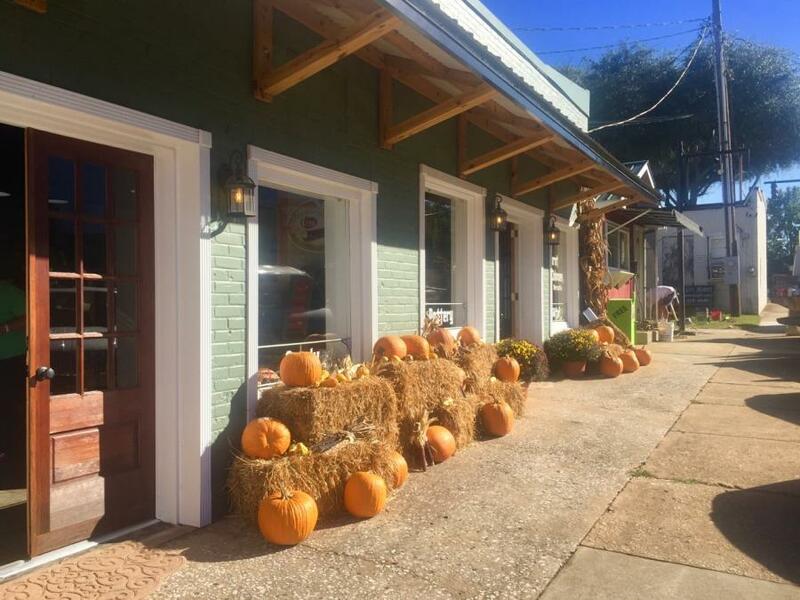 Enjoy an afternoon drive through our classic main streets, and scenic back roads mesmerizing vistas, celebrated history, local treasures and of course our authentic Southern hospitality. 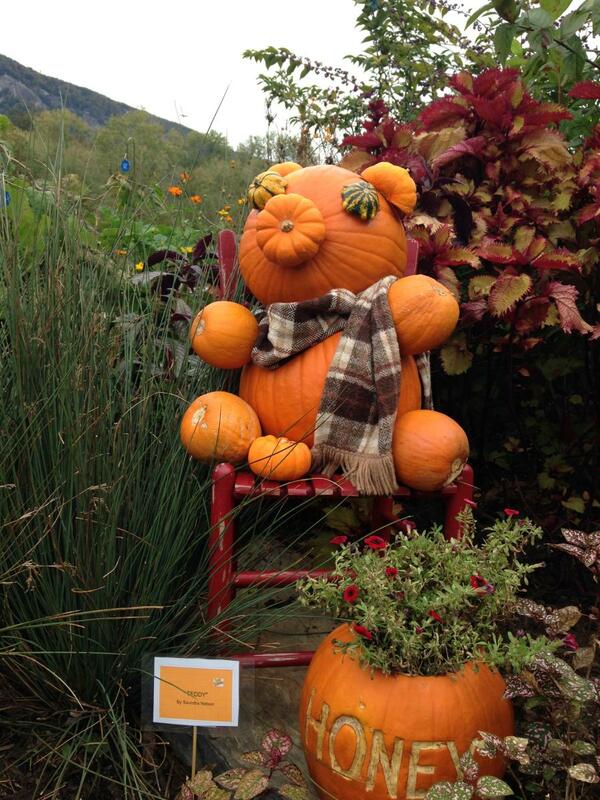 Throughout the area, you’ll find pumpkin patches, harvest festivals, and even scarecrow contests. Tour our tree-lined country roads that wind through rolling pastures surrounded by distant mountains ablaze in full autumn dress. Discover historic sites, rustic barns, log cabins, and unique businesses that make up the vibrant fabric of our scenic tours. Be sure to view some of our favorite spots for fall color on Instagram at #TOYLFall. 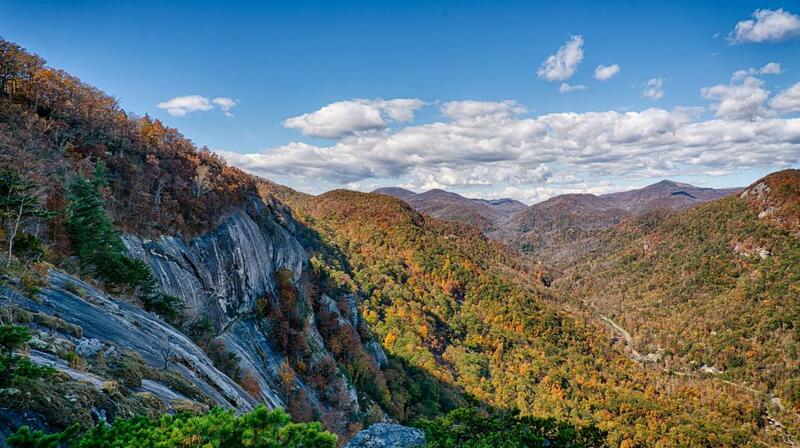 A visit to Chimney Rock State Park tops the list for maximizing the potential for viewing fall color. This season, you’ll want to make time to experience the new Skyline Trail, a 1.1-mile trek that starts at Exclamation Point and meanders through the woods where hikers will encounter ridge-top forests, sheer cliffs, and incredible views. Since the park’s elevator remains out of commission, hikers must climb 838 steps on the Outcroppings and Exclamation Point trails to access the Skyline trailhead. For the best views of fall color, it’s worth every step. The only thing better than seeing the beauty of fall leaves in the mountaintops, is in experiencing it up close at the Lake Lure Flowering Bridge, an experience that is part garden, part whimsical pedestrian path. The converted highway bridge joins the towns of Lake Lure and Chimney Rock Village in a multisensory, mini-journey through 15 eye-popping, nose-tingling stops. More than 700 plant varieties flourish in raised beds and planters made all-the-more fascinating by the interplay of local art along the way. There are only two others like it in the country, but this is the biggest and most one of the three. 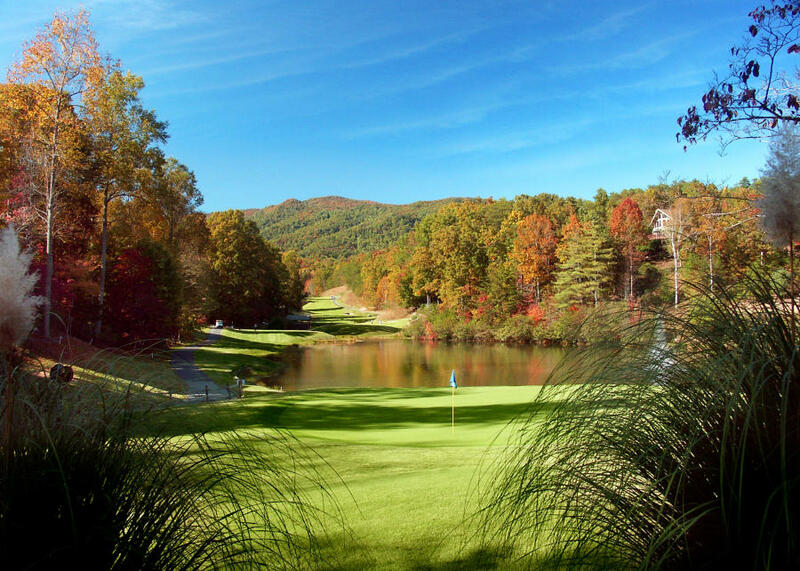 There&apos;s never a bad time to play golf in Lake Lure and the Blue Ridge Foothills, and there are plenty of great courses to choose from. But ask any seasoned North Carolina golfer and they will tell you that fall is their favorite time of year to tee it up in the Western North Carolina Mountains. Between the cooler temperatures and fall foliage, the atmosphere is just right for hitting the links. Here&apos;s our list of great courses to play while you’re here. 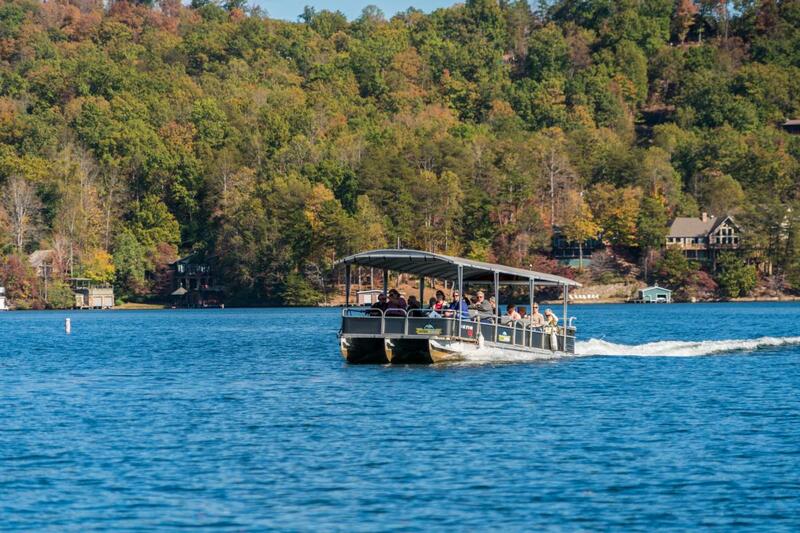 A favorite way to see fall color is by boat. Sit back and enjoy a guided tour as you take in miles of fall foliage along the heavily wooded shoreline. See stately lakeside homes, simple summer cabins, and even some of the landmarks used in the filming of “Dirty Dancing.” Listen as your tour guide talks about the history of this area, as well as its unique biodiversity and cultural significance in Hickory Nut Gorge, home to Lake Lure, North Carolina. When people envision an idyllic Western North Carolina small town – historic inns, flourishing shops, corner cafes, striking mountain vistas, cold mountain streams, genuine hospitality and farm-to-table fresh food - they envision Lake Lure and the Blue Ridge Foothills. Each of our small towns is close enough to the other that exploring them during a weekend fall getaway is easier than you may think. From bustling main streets and miles of rolling countryside, you will be immersed in our unique and captivating small town culture. 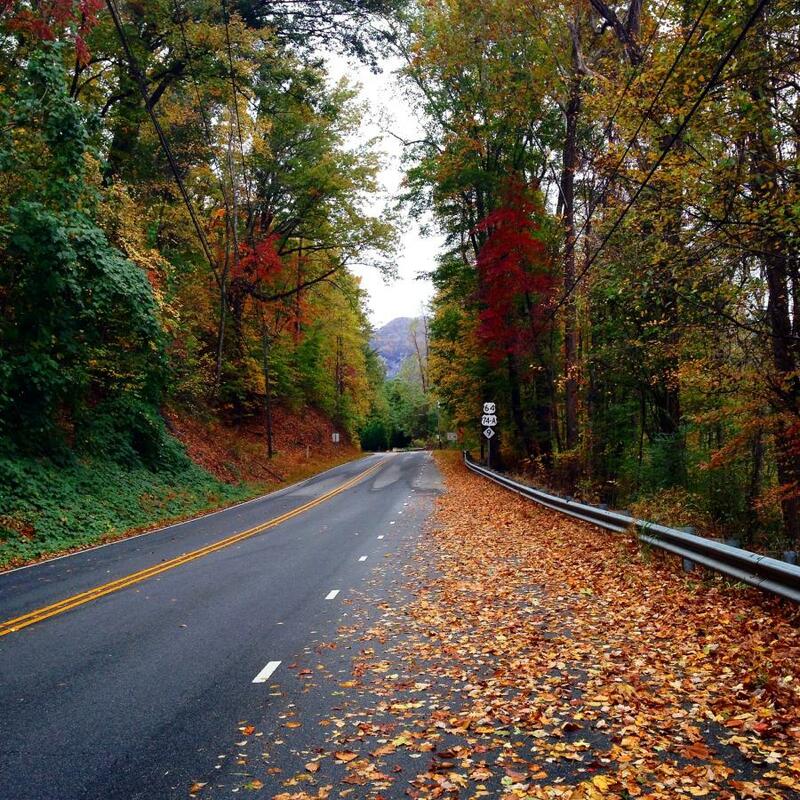 Enjoy the road, but be sure to stop and experience the canopy of rich fall color surrounded by miles of hiking and biking trails throughout the county. Buffalo Creek Park in Lake Lure offers over eight miles of mountain bike trails and is one of the top places to mountain bike in the region. Explore four different trails interspersed through downtown Rutherfordton, including the recently expanded Purple Martin Greenway. It’s the best of being in the country while still being conveniently located to downtown. As if on cue with the turning of the leaves, fall ushers in a whole host of harvest and arts festivals, providing an opportunity to enjoy the crisp weather. 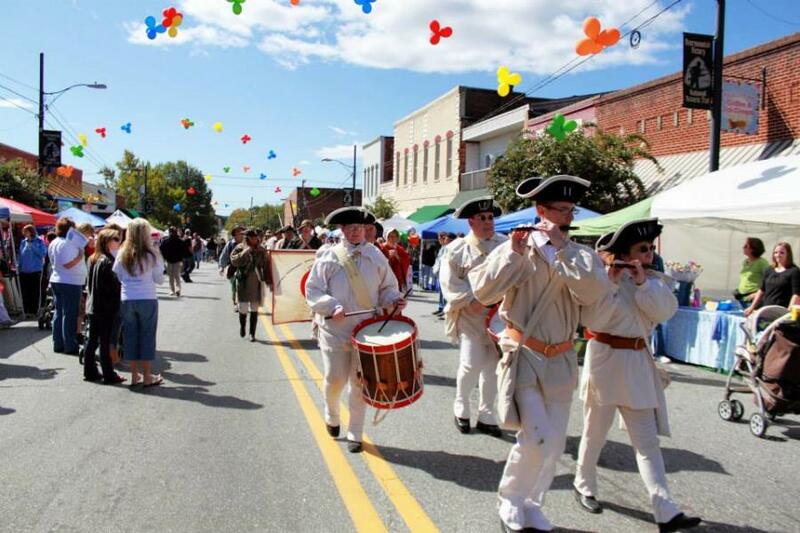 The Hilltop Fall Festival in Rutherfordton is a time-honored tradition that kicks off with the always exciting, “Race for the Gold” Soapbox Derby. Cheer on your favorite team as they race down Main Street in a custom-built soapbox. Looking to take home some local art? 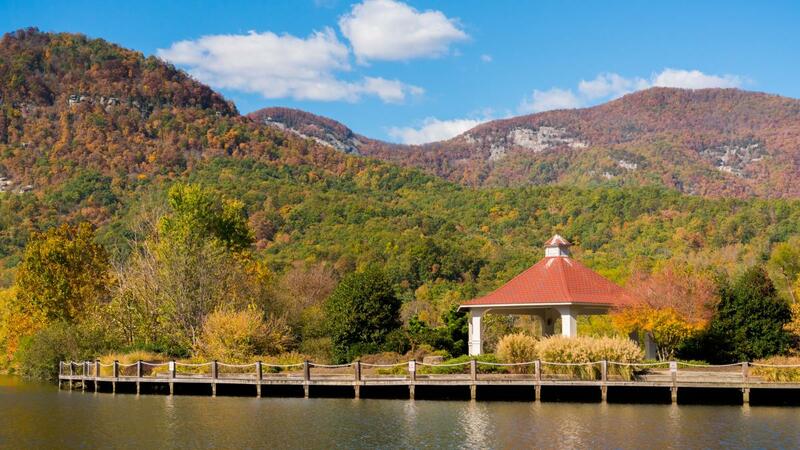 Look no further than the Lake Lure Arts & Crafts Festival on Oct. 21-22. This decades old semi-annual event features top artisans and crafters from across the region to showcase their talents and hand-crafted treasures. To truly relish the autumn leaf color, follow the lead of the many photographers and leaf-peepers who flock to the area during this time of year; take a scenic drive, park the car and go exploring. Be prepared to engage all of your senses in the beauty that is reflected by autumn in the Blue Ridge Mountains. Plan your fall getaway now.